An invaluable resource for HR professionals and executive coaches, this book focuses on how to reduce the time needed to prepare high-potential (HIPO) leaders for next-level positions. Providing the leading trends, tools, and techniques in the industry, the book demystifies the process of HIPO development. It includes a powerful five-step process for increasing leaders' readiness, as well as a complete set of tools for running workshops on developmental planning and coaching. 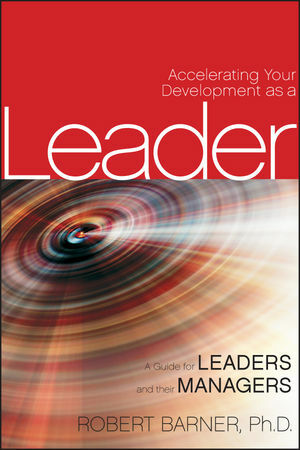 This text also serves as a core text for the author’s Executive Coaching Certificate Programs. Dr. Barner is a prolific writer whose writing contributions include six books on the subjects of career counseling and leadership development with translations into German, Norwegian, and Estonian. He has also been a contributor to several university texts, has written over 40 articles for academic journals, and has been a reviewer for both the Journal of Organizational Change Management and the Journal of Management Development. Dr. Barner has presented to several international symposia and conferences, including the American Society for Training and Development, The Society for Human Resource Management, The World Future Society, and the National OD Network. His articles on the subjects of career planning, executive coaching, executive development, and team building have appeared in such publications as The Wall Street Journal’s National Business Employment Weekly, The OD Practitioner, Career Development International, Team Performance Management, The Journal of Organizational Change Management, HR Magazine, and Training & Development. Dr Barner holds a Masters and Doctorate in Organization Development from Fielding Graduate University, a Masters in Counseling Psychology from Nova Southeastern, and Bachelors degrees in Education and Psychology from Florida Atlantic University.